Local SEO Toronto - SEOLogist Inc.
Local SEO is an ongoing process, a collection of predefined activities that improve website ranking in Google local search results. Increase online local visibility for your website to ensure greater conversions of visitors into paying customers. Create a Google Map listing for your selected keywords and move these up the ranks so they appear in searches with the Google Maps list. Build a strong online presence on Google+ to increase the number of leads. Draw more traffic from keywords that are relevant and have high conversion potential. 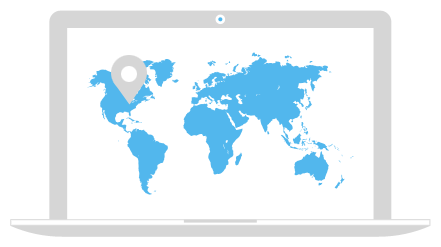 Increase local online visibility and target specific yet more lucrative audience to business locations. Establish a strong Google+ business presence, improve brand recognition and manage online reputation through building a base of Google+ page followers and attracting reviews from business clients. Increase the number of leads generated through the website, through forums and phone calls. Gain momentum and continuity in the rankings, traffic and conversions. Track and measure the rankings, analyze the reasons for changes, and make adjustments to the Local SEO campaign. The strategy for accomplishing your goals will focus on organic search engine optimization of the specific keywords in Google Maps. Local SEO will help generate a sustainable flow of traffic to the main local business website, improve product and service awareness, and get more target visitors from the local area. Our Local SEO process will follow a model of the audit and setup phase, followed by continuous campaign management. The main goal of the audit and setup phase is to prepare your website’s online presence for a Google Maps listing. Ongoing campaign management focuses on continual improvement of rankings/traffic and leads for the site. "Outstanding results gained after a very successful local SEO campaign initiated by this Search Engine Optimization team a little while ago. A million thanks, keep in touch! "